Dance the night away with friends and family at the Uptown! Entertainment Alliance Sock Hop! The event will take place at the Ballroom at the Westside building. Ticket price includes dinner, a DJ rocking the night away with music through the decades so you can dance your shoes off, and entrance into our Sock Competition. To purchase tickets or learn more about the event click here or visit, Uptownwestchester.org. Don’t miss the kickoff event for John DeBella’s Annual Turkey Drop! The event will begin at Kildare’s Irish Pub of West Chester on November 23, at 12:00pm. 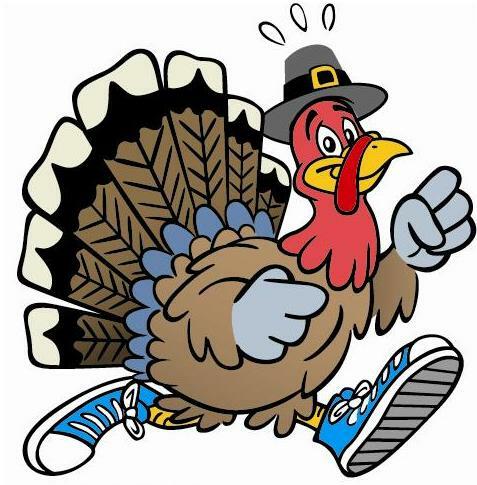 The Running of the Turkeys will be a one mile run through the streets of West Chester while carrying a frozen turkey; You may transport your turkey in any manner. In order to enter you must donate one frozen turkey. If you’re unable to purchase your turkey in advance, a limited number of turkeys will be on sale at Kildare’s the day of the race. For more information on the event click here. The 39th annual Unionville High School Art Gala will showcase local celebrated working artists, UHS alumni and current UHS Students along with live music and fabulous food. The Art Gala is a highly regarded event that raises money for educational projects and programs. Thirty percent of all artist sales go to support educational programs and projects at Unionville High School. The Art Gala will begin on Friday, November 7th from 3pm – 9pm and continue Saturday, November 8th from 10 am – 3pm; The much anticipated silent auction begins Friday and ends Saturday at 2pm sharp! For updates and further information make sure to follow the event page on Facebook. 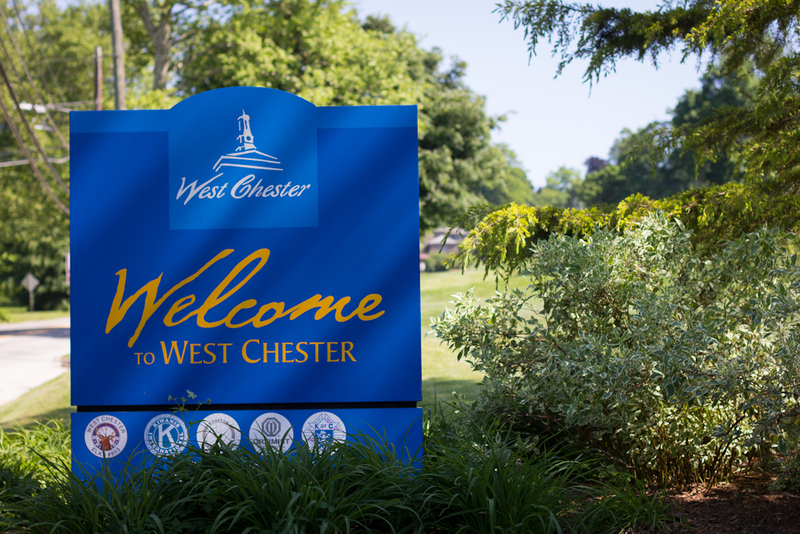 West Chester’s monthly First Friday event will be taking place this Friday (November 7, 2014) at 5:00pm. This months event will feature a special Glitter & Glow spectacle. Stroll through Downtown sidewalks where luminaries accentuate the shops with the magic of the season. Customers will find shelves stocked with giftware and seasonal fashions for everyone on your list. Metered parking throughout Downtown West Chester will be FREE during the event. For more information visit Downtownwestchester.com. West Chester pays tribute to all American veterans, living or dead, but especially to living veterans who served their country honorably during war or peacetime. The parade will take place on the second Sunday of November at 2:00pm. A short ceremony will take place at the historic Courthouse featuring the Rustin Band, the AmeriKids and several speakers. 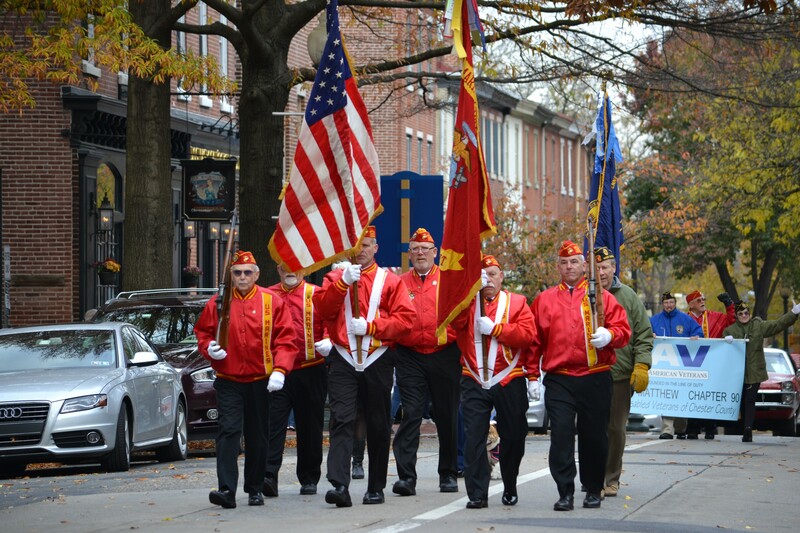 Join the West Chester Veterans Council to show your support for our veterans. For more information on the event click here. If you missed the West Chester Halloween parade last night don’t worry as there is another parade happening this weekend in our neighboring town of Kennett Square! Downtown Kennett Square is looking to be transformed with the festive sights and activities of the fall season. 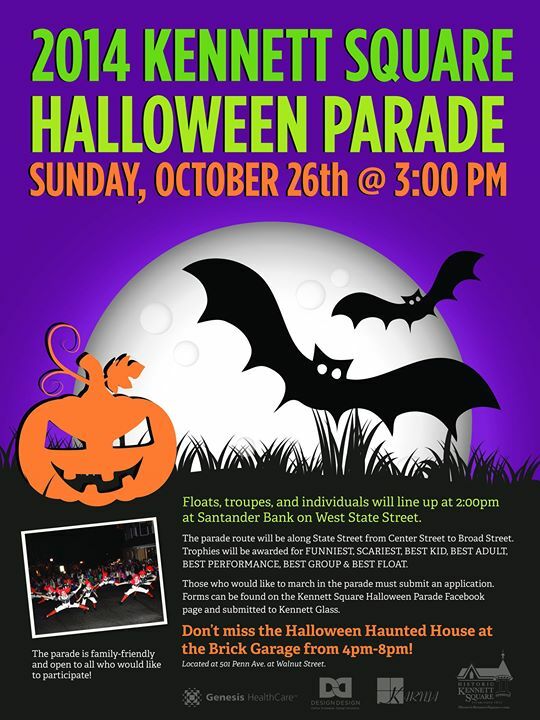 Kennett Square’s Halloween Parade will be on Sunday, October 26 at 3 pm. Organizations and individuals are welcome to participate! To learn more about the event click here or visit Historickennettsquare.com. The Brandywine Harvest Market will run from September 20th through November 9th, most weekends. 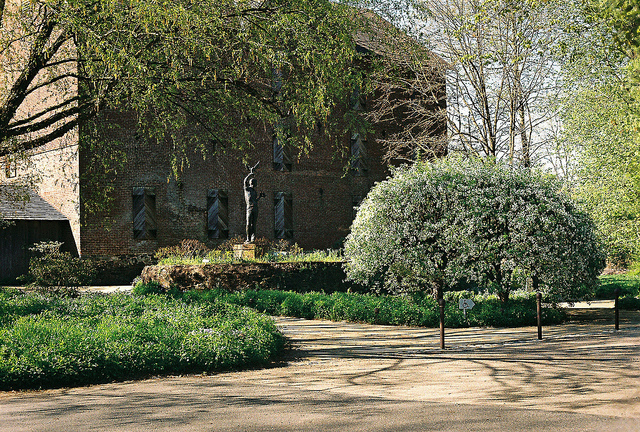 Come out to enjoy things from honey and apples to pottery and handcrafted jewelry, regional artisans showcase their crafts in the Brandywine River Museum’s courtyard. Handwoven rugs, dried flowers and wreaths, pottery, quilted items and handcrafted dolls are featured on a rotating basis. Contact the Brandywine River Museum to find out which crafts are available each week, Brandywinemuseum.org.